Many types of physical stressors, including heavy exertion and training, can result in muscle fatigue and tightening. It is common for patients to take a product that addresses symptoms, not realizing they often have broader needs not addressed by their single product. 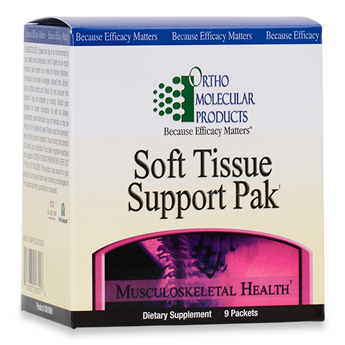 With Soft Tissue Support Pak, patients are encouraged to take a holistic approach to their multiple nutritional needs to support the natural tissue recovery process. 1 packet per day or as recommended by your health care professional. Best if taken on an empty stomach. Take closer to a meal to improve tolerance.